Did you ever give residencies, nomadism, and social relations in the art world some critical thought? Art writer and artist Vanessa Gravenor does. If you missed out on the first contribution, check it out here, and if you're hooked, go also to the conversation Gravenor is organising on November 3d about "Precarity, Analysing the Mobilising Forces Behind Art Labor" at KN - Art in Context, Berlin. Nomadism is art labor’s default mode, and moreover, it has transformed all social relations inevitable. If life mimics art, then life certainly mimics the mobilizing forces that underpin this art. Andrew Ross writes in an e-flux article how it is a relatively new phenomenon to begin talking about the economic structures that produces culture, art work, and how the artist actually monetizes his/her/their labor. In an essay written in 2006, when the residency was in its hay-day, when artists still believed that travel was a type of utopia, Hito Steyerl and Boris Buden highlight the irony of being in residence somewhere, for in political terms, one never receives residency, but a temporary form of dwelling, which always has a time restriction. They write: “we could call it the problem of the residue. But what is this? There is always a difference between the number of people who reside in a certain place and those who are being taken into account. The mere residents are usually in excess over the others. While the former simply happen to live there, the latter are being woven into a network of nation, representation and benefits” (Hito Steyerl and Boris Buden). Artist in a residency have no political representation, they don’t vote, but their difference is limited to a very specific type of cultural capital that often rarely leaves a residue. 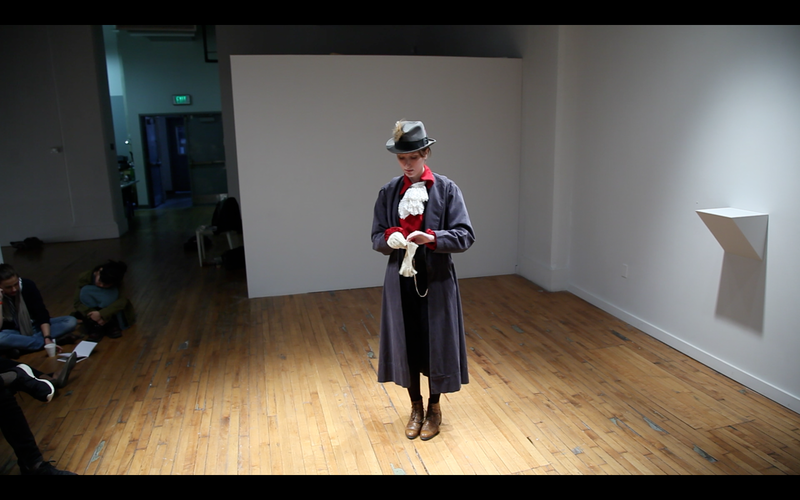 Quoting this essay in Active Withdrawals: Life and Death of Institutional Critique, a survey book talking about alternative institutional spaces and interventions, the author explains how the labor produced in the residency is always relational or performative in the form of meetings, talks, and networks. The residency is modelled after a utopia, a non-place, which isn’t necessarily always a beacon of promise, but can sometimes turn into a heterotopia, or a space with an exasperated sense of rules and dominion. Noting this turn of labor, Sabeth Buchmann notes that the turn towards “shared knowledge” and “shared space” is in fact a product of the neoliberal system of management. Thus, even though shared labor is often seen as part of this post-marxist critiques, within the art world’s networked turn, the gift economy or “rehearsal aesthetics” as Buchmann calls them, have much in common with the neoliberal thinktank. Another facet of the precariat life is the autoimmunization of social relations. What does this mean? We all know the signs, the artist who seeks out a friend who from a distance is making really radical work and has a contemporary aesthetic. Yet, the closer the precariat gets to this friend, the less and less the friend from a distance seems radical or even on the edge of things. The precariat is always in a state of a one night stand with everybody around them, and once one turns on the lights in the morning and he or she sees the person they have slept with, and the precariat realizes how hideous it all was. 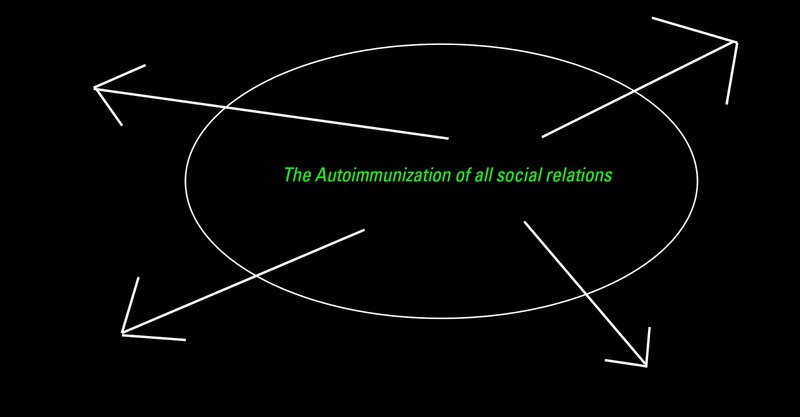 This, my friend, is the autoimmunization of social relations. Autoimmune like an internal disease that afflicts the artist freelance existence. Once friends or even lovers find themselves on the inside of the precariat’s social relations, the precariat rejects them as unwanted spawn. Perhaps we should add another synonym to the precariat’s indexical vocabulary: the narcissist.